The 13th hole at Pawley’s Plantation. 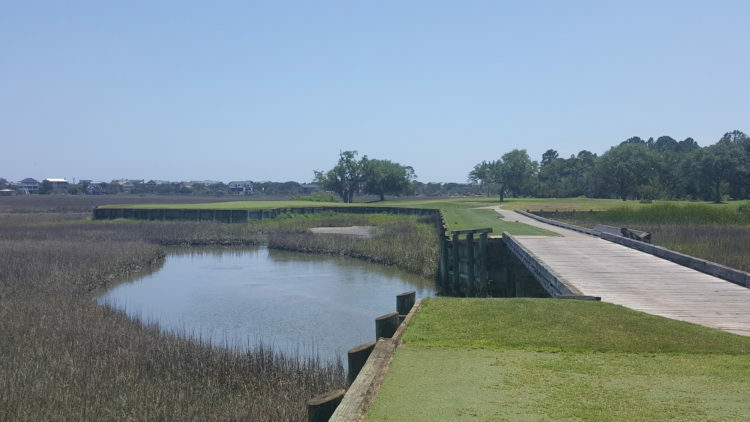 The hole is dubbed “The Grand Strand’s Shortest Par 5”. It plays 67 yards from the forward tees and there are more double bogeys on it than pars! Here you’ll find courses designed by some of the top names in the game, including Jack Nicklaus, Tom Fazio, Dan Maples, Ron Garl, and the late Mike Strantz. The Waccamaw Golf Trail also boasts Gary Player’s lone Myrtle Beach design in Blackmoor Golf Club. The Inlet Sports Lodge (www.inletsportslodge.com) is among coastal Carolina’s newest upscale hotels, created by outdoor enthusiasts for those who love the outdoors, as attested by each room’s décor. Each unit is an efficiency, suite complete with refrigerator, stove and microwave. There’s ample room in each unit and the lodge is conveniently located in close proximity to all of the outdoor attractions, including golf, fishing charters, shopping and great restaurants. With the bevy of sporting activities located at the south end of Myrtle Beach, the Inlet Sports Lodge puts you front and center for all of your sporting activities. 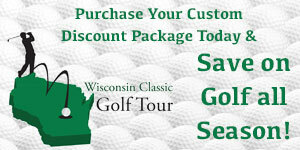 They can also help you reserve your tee times on all of the Waccamaw Golf Trail courses. TPC Myrtle Beach, a Tom Fazio-Lanny Wadkins design, is the only course on the Grand Strand awarded 5 Stars from Golf Digest’s Places to Play. TPC Myrtle Beach presents players the opportunity to experience what PGA Tour professionals face on a weekly basis. Good example, the par-3 17th and par-5 18th provide golfers with a combo-challenge that has seen its share of big numbers. Many golfers, both local and visitors consider TPC Myrtle Beach to be the most challenging in the area. Caledonia Golf & Fish Club is one of two Waccamaw Trail designs by the late Mike Strantz. The experience begins with your drive down South Carolina’s version of Magnolia Lane to an old-South style clubhouse and one of the incredibly maintained courses anywhere. No two holes are the same and each will test your mettle as you play. End your day on the porch that overlooks the 18th green, and cheer – or jeer – golfers as they navigate their way across the pond to the final hole. True Blue is the other Mike Strantz course on the Trail. It plays a little longer – and tougher – than its sister course. True Blue is a true Lowcountry course, complete with salt marshes, wetlands, live oaks and towering pine trees. The signature 18th green requires a carry over water off the tee, and then another carry on your approach to the green, usually with a gallery of golfers gathered on the porch acknowledging your success, or not. Tradition Golf Club was designed by well-known Florida course architect Ron Garl, and is his only design in the Myrtle Beach area. In addition to a challenging par 72 golf course, The Tradition Club is very female-friendly, and also boasts a Mega Practice Complex, something Garl is famous for in Florida and around the world. 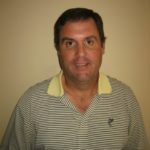 Litchfield Country Club was voted “2016 Golf Course of the Year” by the Myrtle Beach Area Golf Course Owners Association and seems to get better with age. A classic design, Litchfield was created by Willard Byrd in the mid-1970s, and features narrow fairways, sharp doglegs, and strategically constructed green complexes that put a premium on accuracy over distance. Blackmoor Golf Club is the only Gary Player design in the area and takes advantage of the natural terrain in the area, creating some interesting shot selections. Much more than “grip it and rip it golf”, Blackmoor will have you thinking your way around the course, including a big decision to make on #8. Willbrook Plantation is considered by prolific course designer Dan Maples as one of his best, and locals and visitors agree. The course is built on land that was once two Carolina Plantations, dating back to 1798. As you play the course, you’ll see several historical markers denoting numerous points of historic significance. Willbrook Plantation is a favorite among the ladies, ranked among the “Top 50 in America” for female golfers, and will challenge all comers. The River Club at Litchfield is an award-winning Tom Jackson design that requires both distance and precision if you want to score well. Be warned – there is water on just about every hole and over 100 sand traps to test your aim and direction. You’ll need to have it down pat when it comes time to take on number 18, one of the most challenging finishing holes in the area. Pawleys Plantation was built by Jack Nicklaus and features two very different nines. The front nine offers tree-lined fairways and beautiful lakes. The back nine delivers spectacular views of the salt marsh from six different holes, including the signature 13th hole which is aptly dubbed the “World’s Shortest Par 5”. In reality, it’s a 67 yard par 3, but 5s are every bit as common on the scorecard. Founders Club at Pawleys Island has the distinction of being both the oldest and newest course on the Waccamaw Trail. The original 1966 Gene Hamm design course was rebuilt by former Gary Player lead designer Thomas Walker in 2008. Waste areas are filled with natural beach sand, and native grasses populate the mounds and waste areas. Minimal cart paths on this “ocean-style” course give golfers a unique coastal golfing experience – and makes it very senior friendly. Heritage Club has been rated one of “50 Best Public Courses in America” by Golf Digest and the par 71 Dan Maples design doesn’t disappoint. Heritage Club features spacious, rolling fairways and large, undulating greens, surrounded by magnificent oaks and lush stands of crepe myrtle, camellias and azaleas. After your round, relax on the porch of the Southern-style Colonial Clubhouse overlooking the Waccamaw River and relive your round. Wachesaw Plantation East is a Clyde Johnston design in Murrell’s Inlet that has hosted numerous LPGA events, and has received national honors for its fairways, customer service and playability. Patience is the key here and is a necessity on the par-4, 430-yard No. 18, where the green wraps slightly around a small pond and dares players to stick their approach shot close. Or die trying. The Waccamaw Golf Trail is situated about 30 minutes south of Myrtle Beach International Airport and just over an hour north of Charleston International, with affordable flights into both. For more information on the Waccamaw Trail or to book your next round at one of these fine golf courses, give them a call at 888-293-7385 or book online at http://www.waccamawgolftrail.com.